Strategic and financial bidders alike are snapping up companies ranging from direct-to-consumer makeup services to pet food retail. Retail chains and private investors are snapping up retail-focused technology companies in an effort to better understand consumer behavior in a rapidly changing shopping landscape. With store closures abound at legacy stores such as Macy's Inc. (M - Get Report) and Sears Holdings Corp. (SHLD , persistent same-store sales declines and bankruptcies hitting the retail sector, "some sort of correction" is inevitable for valuations, according to Kristin Kohler Burrows, senior director in Alvarez & Marsal's retail and consumer practice. "Whether you start from pure-play online first and add stores or you start from stores and add the online piece, right now private markets are valuing the former much higher than the latter," she said. "I believe that's because of the mindset of the former-they're very consumer-first driven, they're very data-driven, and all about meeting her or him about how they shop." The shift in consumer retail behavior means that same-store sales may not be the go-to metric for retailers over the next decade, she predicted. "You've almost got to take the customer journey from awareness to purchase to re-engagement and say, along that customer experience, as long as I keep her and keep her profitable wherever she buys, it doesn't matter." But once retailers embrace the need for digital investment, Burrows added, they want to move quickly and benchmark themselves against their competitors. One such quick fix is M&A. Here's a look at the tech investments and acquisitions that have changed the face of retail this year. One channel-agnostic retailer is PetSmart Inc. PetSmart, which was acquired by BC Partners Ltd., Caisse de dépôt et placement du Québec and StepStone Group LP in 2015 for $8.7 billion, announced April 18 that it would acquire online pet supply retailer Chewy Inc. for a reported $3.35 billion. Chewy cofounder Ryan Cohen said that the deal would combine "our strong e-commerce expertise with PetSmart's best-in-class infrastructure, footprint and breadth of offerings," an area PetSmart has focused on with services including grooming. 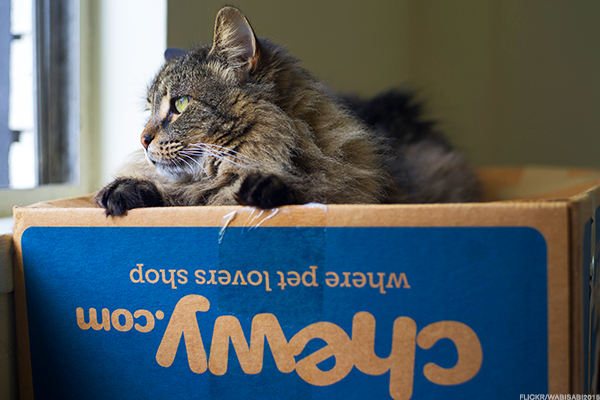 Chewy accounted for more than half of online pet sales, compared to Amazon.com Inc.'s (AMZN - Get Report) 31% share, according to 1010data, and has also expanded into private label products. Since its $3.3 billion acquisition of Amazon rival Jet.com closed last year, Walmart Stores Inc. (WMT - Get Report) has focused on building expertise with e-commerce investments. In six months, Walmart spent about $500 million on niche online retailers, including shoe retailer Shoebuy.com Inc., outdoor gear retailer New Moosejaw LLC, women's clothing retailer ModCloth Inc. and men's clothing retailer Bonobos Inc. Last month it also acquired delivery startup Parcel to ramp up its delivery offerings. Target Corp. (TGT - Get Report) , in contrast, is taking a more conservative approach to e-commerce investments with a corporate venture model. The retailer announced June 19 that it led the $170 million Series C round for online mattress retailer Casper, with Recode reporting that the investment came after talks of an outright acquisition failed. Casper's mattresses and other bedding products are now sold in Target stores and on its website. 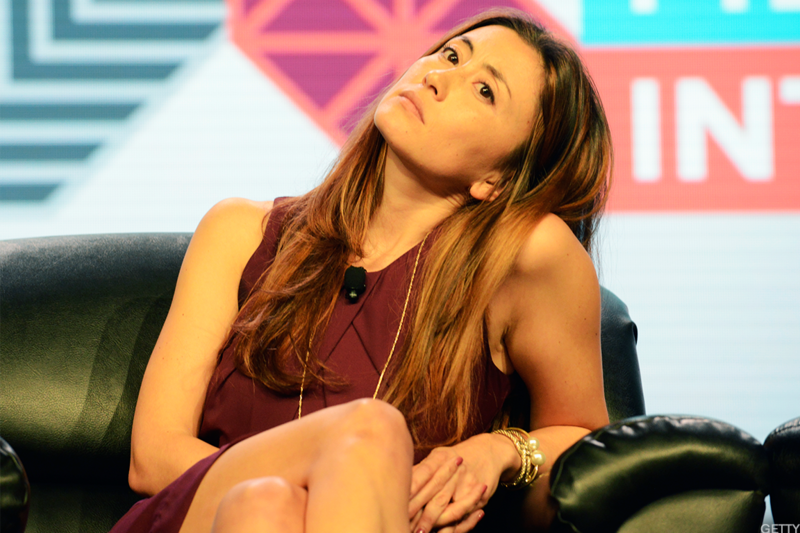 Stitch Fix Inc. (SFIX - Get Report) , which went public on Nov. 17 at a nearly $2 billion valuation, is the rare profitable venture capital-backed startup. The shopping subscription service has raised just $42.5 million in equity since its inception in 2011 and generated revenue during the year ending July 29 of $977.1 million, up 33.8%. "To be relevant today, retailers must find a way to connect with consumers on a personal level and fit conveniently into their lifestyles," Stitch Fix wrote in its prospectus. "We believe that an intelligent combination of data science and human judgment is required to deliver the personalized retail experience that consumers seek." Stitch Fix's largest shareholders are CEO Katrina Lake, with a 16.6% stake, and three venture capital backers: Baseline Ventures with a 28.1% stake, Benchmark Capital Partners with a 25.6% stake and Lightspeed Venture Partners VIII LP with an 11.8% stake. Consumer products companies Unilever NV (UN - Get Report) and Procter & Gamble Co. (PG - Get Report) both paid up for online subscription services in their categories. Unilever took the plunge first, paying $1 billion last year for shaving subscription service Dollar Shave Club, which Unilever North America president Kees Kruythoff called "an innovative and disruptive male grooming brand." P&G, which owns the Secret deodorant brand, acquired a direct-to-consumer deodorant brand, Native, for undisclosed terms on Nov. 15. Makeup company Coty Inc. (COTY - Get Report) , having spent $12.5 billion on P&G's beauty brands, is using a tech acquisition to figure out how to sell them to millennials. Coty announced Jan. 10 that it would pay $600 million for a 60% stake in Younique LLC, a peer-to-peer makeup e-commerce company. The investment will allow Coty "to learn from Younique's unique direct-to-consumer model, gain a deeper, understanding of engaging consumers online and leverage Younique's consumer data," wrote Wells Fargo Securities LLC analyst Joe Lachky. Another makeup company with a direct-to-consumer approach, Cerberus Capital Management LP-backed Avon Products Inc. (AVP), is struggling to retain relevance and shift to a similar digital strategy. 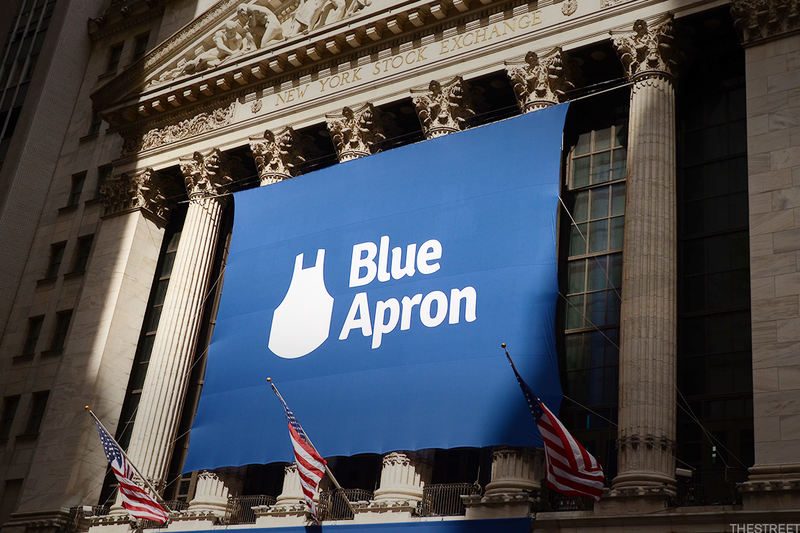 Meal kits are a tough business: Blue Apron Holdings Inc. (APRN - Get Report) shares have fallen nearly 70% since the company's June IPO. Grocery is also a tough business, particularly since Amazon paid $13.7 billion for Whole Foods. So Cerberus-backed Albertsons Cos. Inc. and DineInFresh Inc., the maker of meal kit company Plated, decided to join forces on Sept. 20, with Albertsons paying a reported $200 million as Amazon also plans to enter the meal kit space. Albertsons plans to turn Plated into "the first omnichannel meal kit offering with national scale," selling the product in stores, online and through other, as yet undisclosed channels. Albertsons is gearing up for a rapid shift to online grocery over the next decade. Accenture predicts e-commerce sales will make up 40% of retail sales, up from 10% today, with grocery penetration rising from 3% to the low teens. Bernstein analyst Ali Dibadj thinks more grocers will be forced to consolidate, estimating the Amazon-Whole Foods tie-up alone could reduce grocery profits 20% to 30%. Another retail category that's digitally under-penetrated is furniture retail, and Ikea parent Ingka Holding BV hopes to change that with an unorthodox transition. Ikea announced Sept. 28 that it would acquire gig economy startup TaskRabbit Inc., with which Ikea had previously partnered to assemble its furniture, for undisclosed terms. KeyBanc Capital Markets Inc. analyst Bradley Thomas estimates that in the United States, Ikea is the third-largest furniture retailer and the tenth-largest home furnishings retailer, but has "underperformed in e-commerce in recent years." With the TaskRabbit acquisition, the company "adds digital customer service capabilities...that more and more furniture, home furnishings, and e-commerce retailers are offering." Ikea CEO Jesper Brodin added that the deal is "an exciting leap in this transformation and allows us to move forward with an even greater focus on innovation and development to meet changing customer needs."